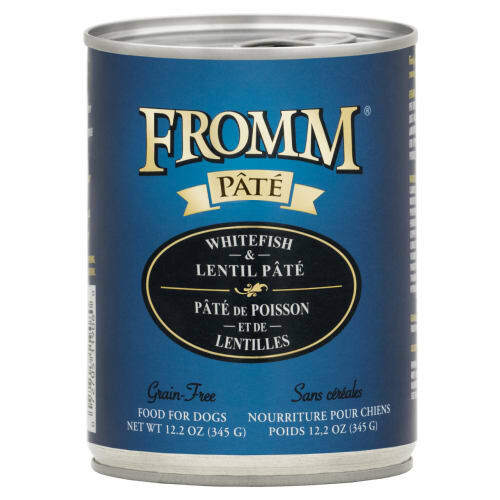 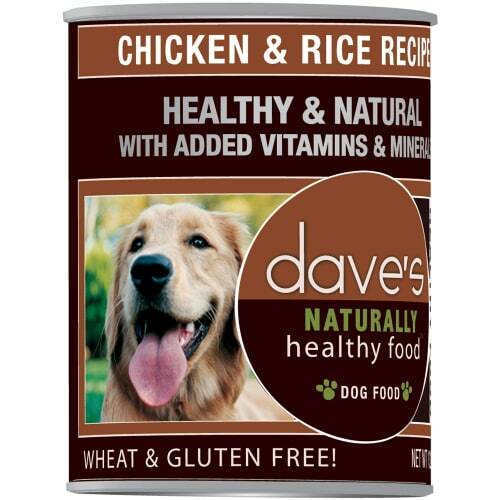 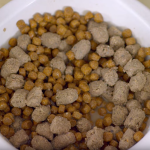 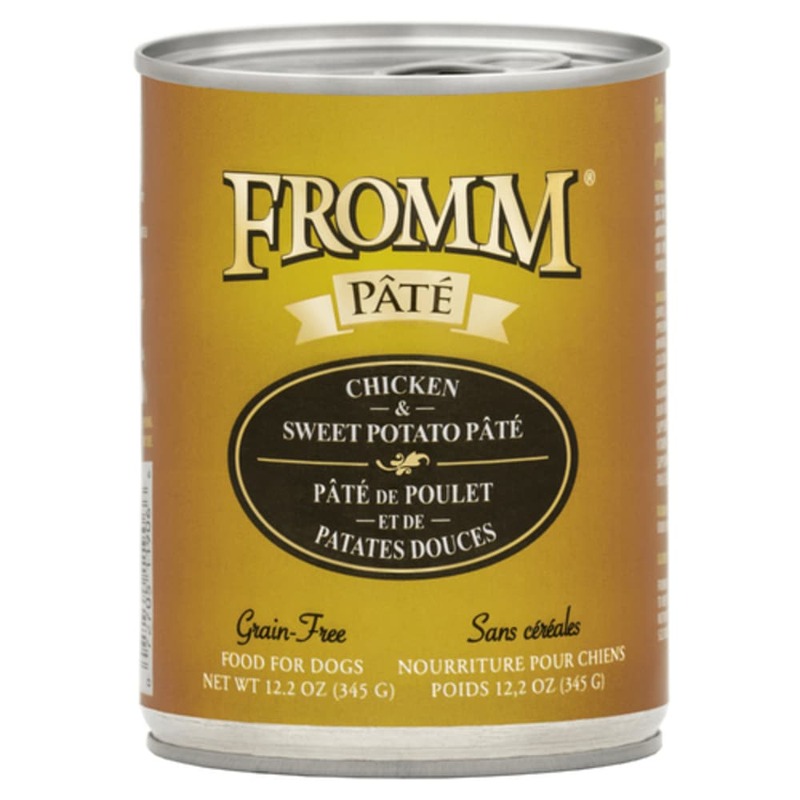 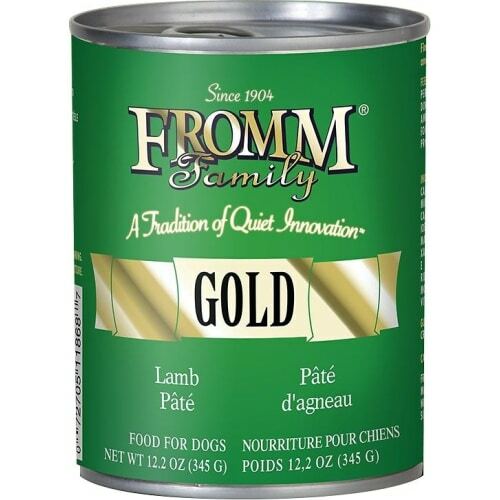 Fromm Gold Chicken & Sweet Potato Pate Canned Dog Food is made with finely minced chicken and sweet potato. 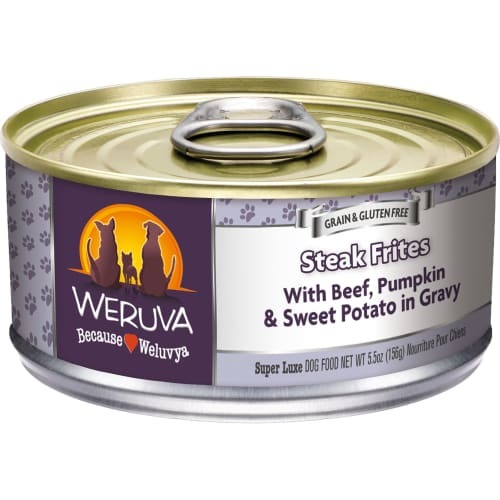 There is also added carrots, potatoes and peas to make one tasty meal! 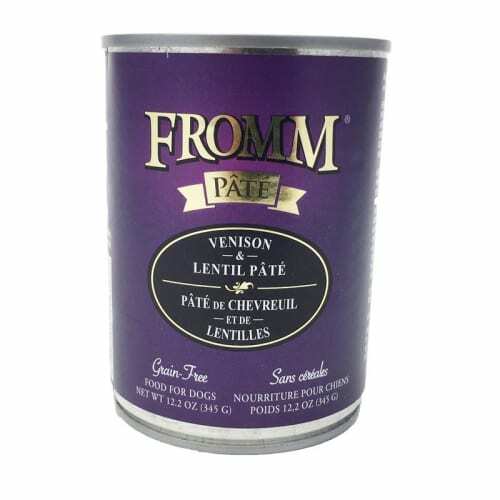 Only 100% natural ingredients are used in Fromm food! 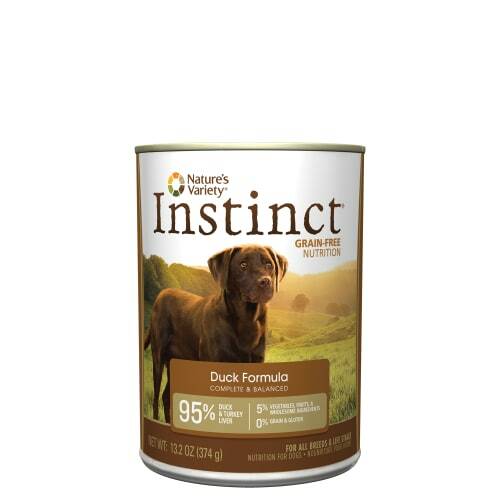 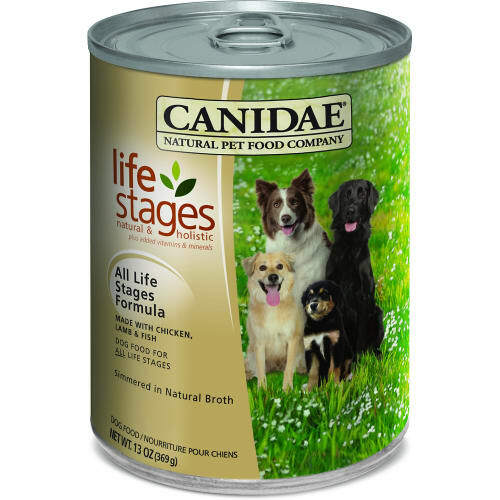 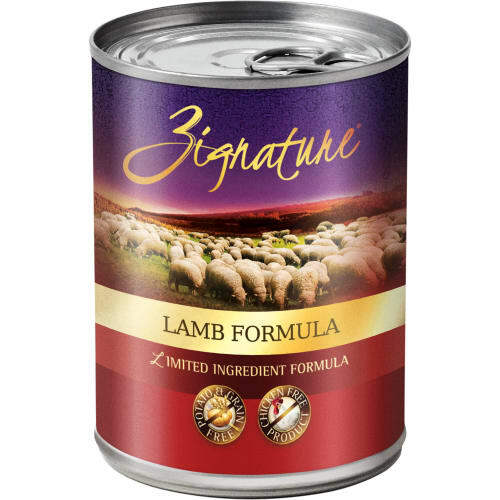 This formula is appropriate for all life stages feeding and is made in the USA! 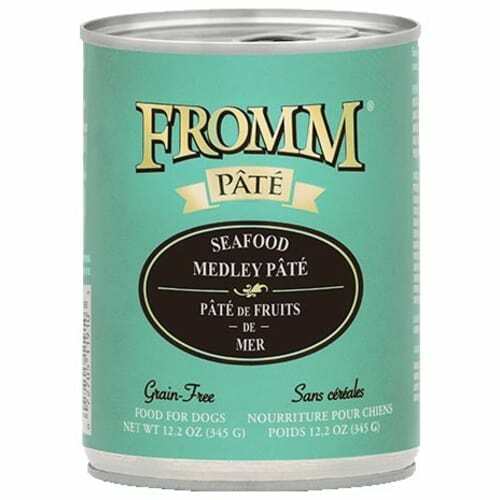 Please note: Due to Fromm's policy, online coupons cannot be applied to the purchase of Fromm products. 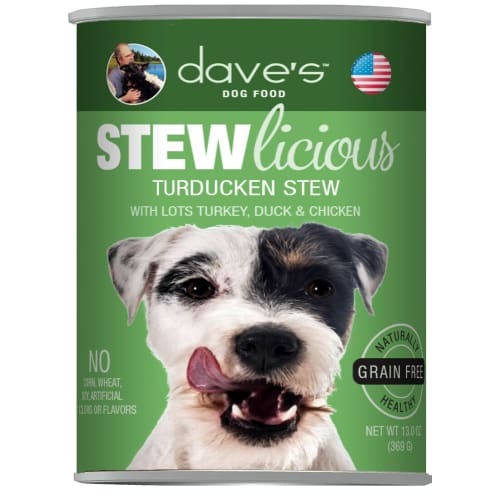 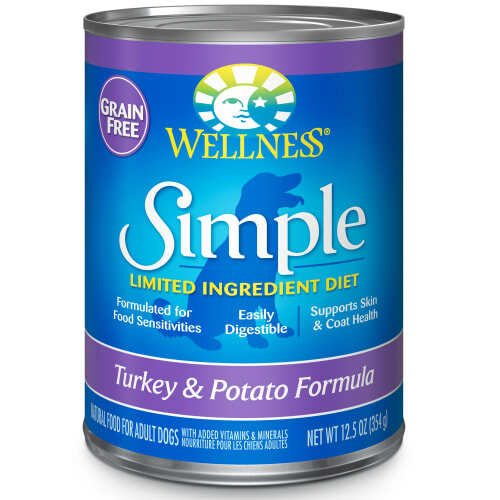 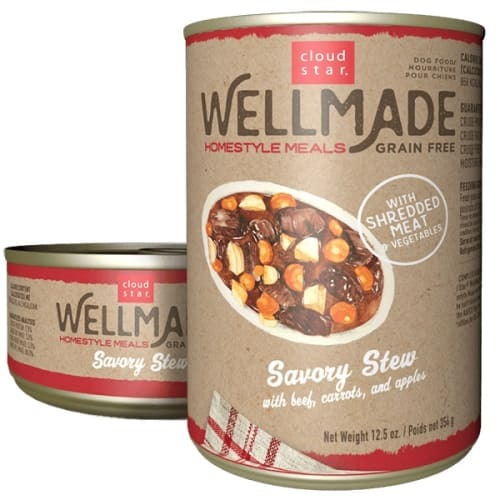 Chicken,	Chicken Broth, Chicken Liver, Sweet Potatoes,	Lentils, Carrots, Potatoes, Peas,	Tomato Paste, Salmon Oil, Salt, Potassium Chloride, Minerals, Locust Bean Gum,	Xanthan Gum,Vitamins.pyridoxine hydrochloride, Vitamin D3 supplement, folic acid].